The world’s sexiest thief. History’s great lover. The renegade hero that made redistributing wealth seem cool. Here is finally the real story of the disgraced nobleman, forced into the wilderness who seeks revenge and reclaims his great love. Five-time Tony®-nominated playwright Douglas Carter Beane–who re-invented Rodgers and Hammerstein’s Cinderella so deliciously (seen at both Ft. Worth’s Bass Hall and Dallas’ Music Hall at Fair Park)–reunites with Lewis Flinn his Give it Up/Lysistrata Jones collaborator and return to Dallas Theater Center to bring to life this hilarious and stirring new musical adventure! A world premiere musical event. Contains sword fighting, adventures, bad guys, and “cheeky” humor (a dash of derriere)! Suitable for young people elementary school age and above. 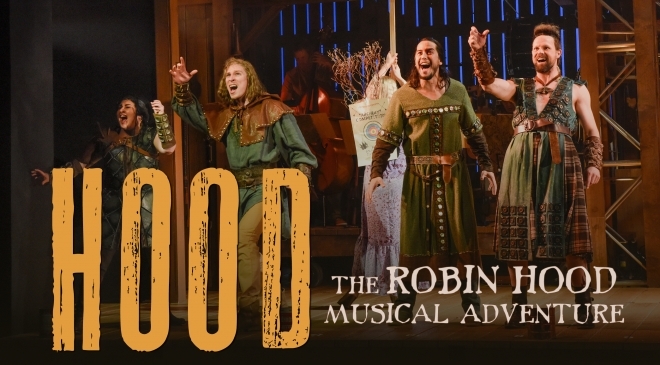 Bring your family to any Sunday evening performance of HOOD and save! Robin Hood hats and tattoos. Use code SUMMERFUN to receive free parking for any Sunday evening performance! *Free parking in Lexus Silver Parking is valid for Sunday evening performances of Hood. 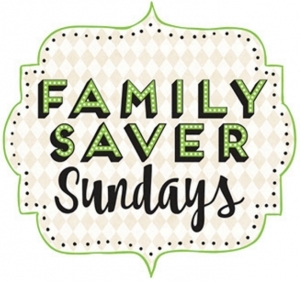 Family Saver Sundays Parking provided by the AT&T Performing Arts Center.